Having a stunning Thanksgiving table is certainly a must! But we can’t forget about the place setting! The place setting is where we can get fun and creative and show our guests just how much fun decorating for the holidays can be! Here are 25 Creative Thanksgiving Place Setting Ideas your dinner guests will absolutely LOVE! 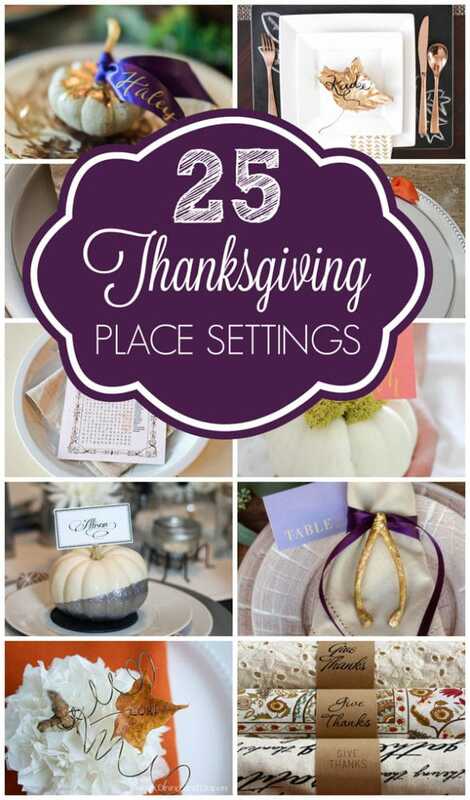 We would love to know which place setting you are going to do this Thanksgiving! Let us know in the comments below! Follow Cristy Mishkula @ Pretty My Party’s board Thanksgiving on Pinterest.